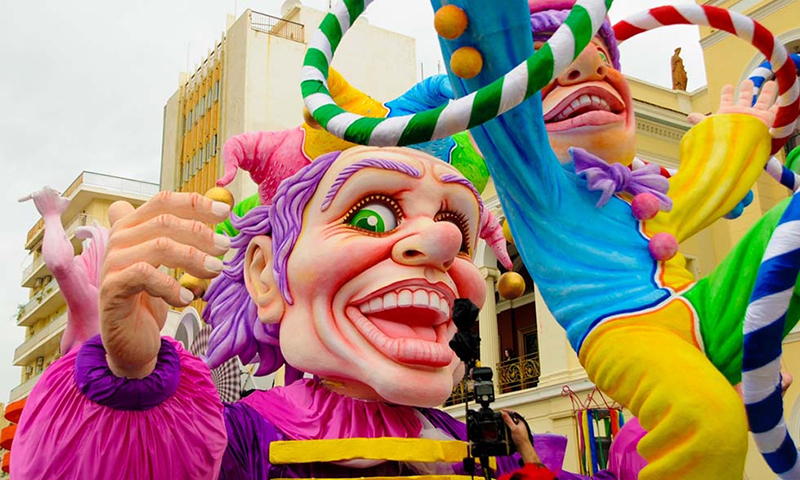 Visiting Greece during February or March is a great opportunity to experience the festive mood of “Apokries” (the Greek Halloween) and the spectacular Greek carnivals. 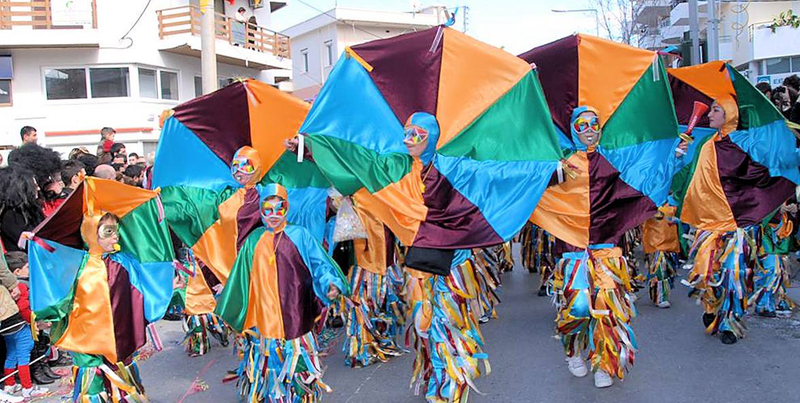 In many areas throughout the country there are carnivals organized, but the Carnival in Rethymnon, Crete has become the most popular along with the Carnival in Patra, Peloponnese. 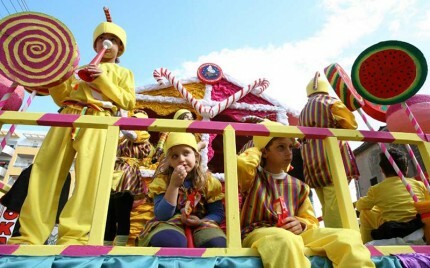 The Carnival in Rethymnon started for the first time in 1914. Featuring Renaissance color and Venetian aroma, “Apokries” in Rethymnon give to the Carnival the elegance and romance of a bygone era. The whole city becomes a great company and collaborates to carry out spectacular events hosted in the town and the surrounding area. 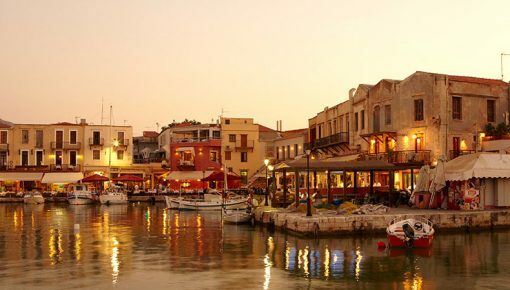 If you visit Rethymnon at this period, you will see entire groups at the traditional cafes to drink raki, taste local delicacies . 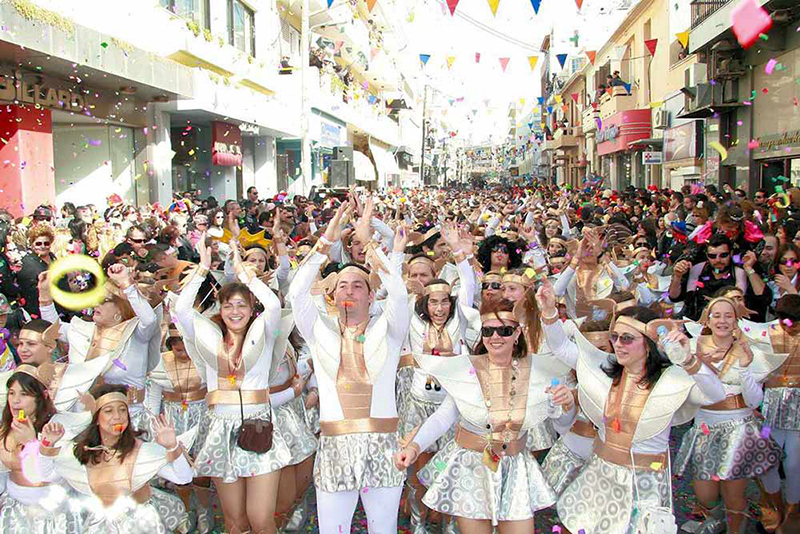 The Carnival in Rethymnon is characterized by the volunteering of selfless people of all ages who transfuse their passion for the carnival and fertilize each event with innovative ideas. 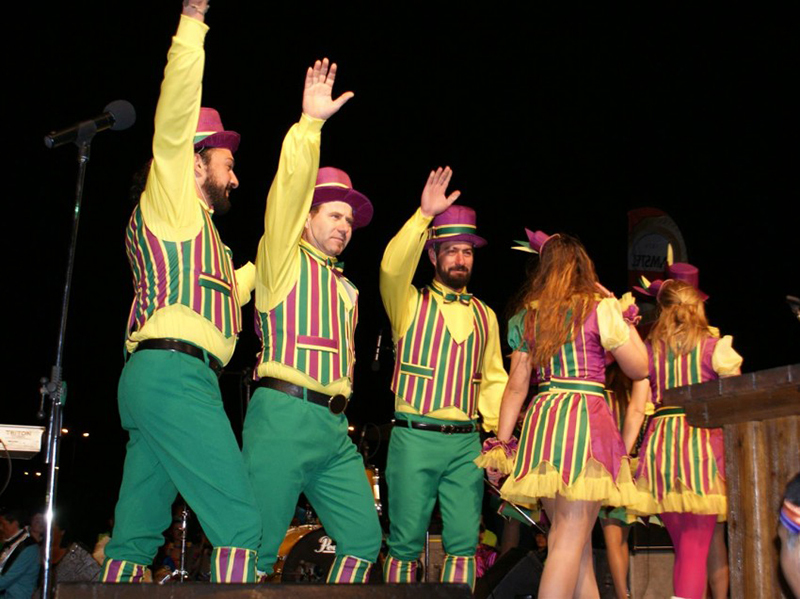 Each year has a different theme, on which is based the main theatrical event displayed by teams in the carnival dance. 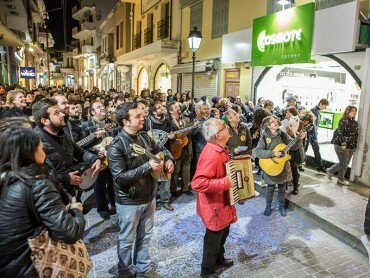 The opening is signaled by the precursor, passing through the whole territory of the municipality of Rethymno and announcing the events that are scheduled. “Apokries” is the paradise of kids, of course! 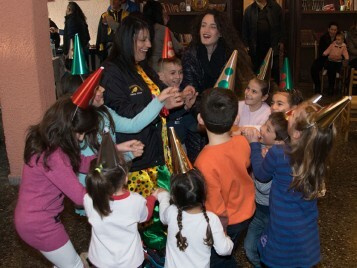 The Carnival begins with treasure hunt for children, while there are many parties, dances and happenings, workshops that are dedicated exclusively to children. As regards the “older” kids, but still young at heart, they will not be left out! 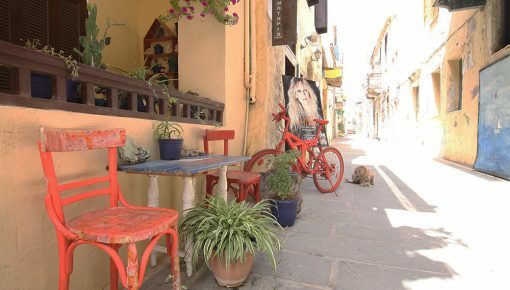 An endless celebration is evolving at the narrow streets and squares of the Venetian Old Town of Rethymnon. 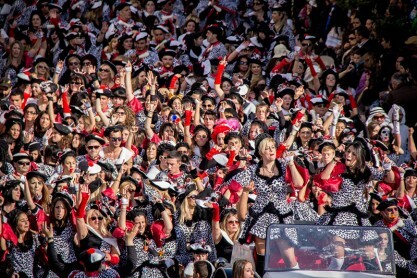 Among the numerous events, are included the Treasure Hunt, the dances of the Carnival Groups and the spectacular Night Parade of Floats through the streets. Do not miss the “Cantata”, a four-hour event with Renaissance influences, where groups and ensembles of the Municipal Philharmonic stroll in the alleys of the Old Town, “flooding” them with nostalgic melodies. The Carnival in Rethymnon culminates with the Grand Parade of Floats and Groups offering spectacular images and sounds with the Venetian element to dominate at costumes, floats and, generally, the atmosphere of carnival. The celebration ends with the established burning of the King of the Carnival at the closing ceremony. The Carnival, an institution with a history that overcomes the passing of time, renewed every year, is the ultimate antidote to bad mood, loneliness and melancholy. Every year, it invites anyone who wants to visit Crete to come to Rethymnon with his friends or family and join the delight and magic along with the locals. The next day, Shrove Monday dawns in Rethymnon, without any rest! “Koulouma” are events of this day which have their own special place in the Carnival. 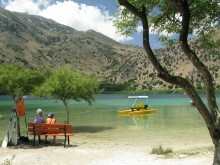 It is worth visiting the villages around Rethymnon. Except from kite flying, very old traditions are revived this day, with characteristic consistency and authenticity. Watch the “Smudge” in Armeni, Gerani and Rousospiti. 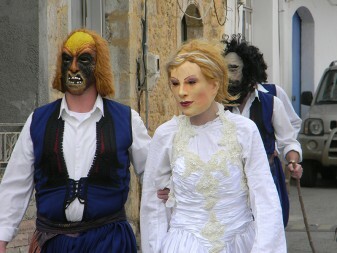 Do not miss the “Kidnapping of the bride”, the “Avgomazoma” (Eggs picking) and the custom of “Kantis” in Melidoni! 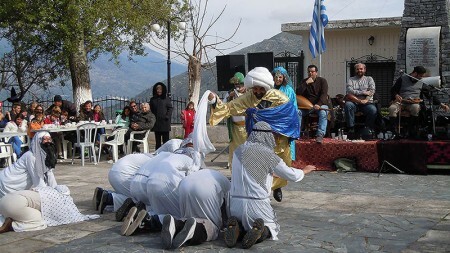 Finally, do not forget to visit Meronas village, an active folklore paradise, where a number of traditions are revived: “Lerades”, the “Bear”, the “Hoxha”, the “Shoemaker”, the “Matchmaking”, the “Camel”. Posted on 13 Feb 2016 in Rethymno and tagged Rethymno Highlights, Winter Holidays In Crete.